Police in Vancouver, British Columbia has discovered that criminals are altering the new polymer notes to create counterfeits that are being passed in the region. 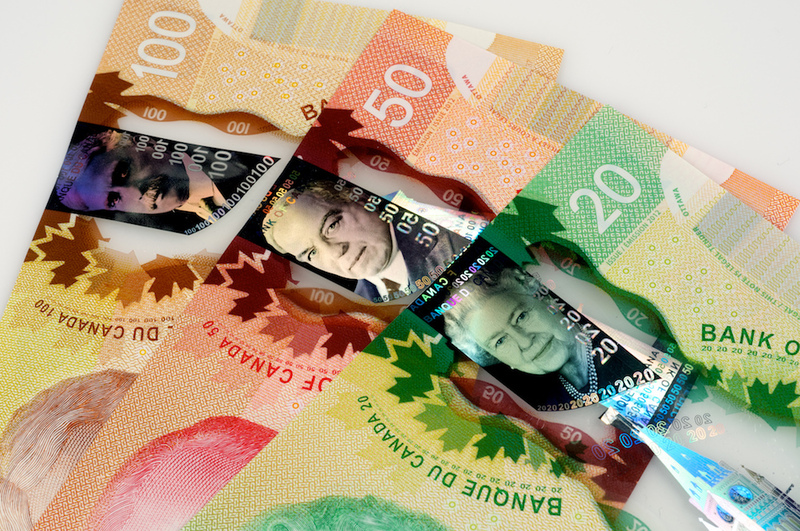 The Royal Canadian Mounted Police (RCMP) and the Bank of Canada are warning merchants that criminals are splicing $5 bills to remove the holographic strips and add them to color-copied $100 notes to make them seem less suspicious. In order to make sure that the clear window in the polymer notes does not raise suspicion, clear packing tape has been used on the altered $5 notes to cover the alteration. Discovered in Metro Vancouver, police found that a careful examination of the notes shows that the $5 notes can be altered in a way that does not raise suspicion while creating $100 notes that has been passed with little notice, until recently. A representative from the Bank of Canada says that criminals are preying on the fact that people are not verifying the notes. The Bank of Canada issued a release urging merchants to check the notes for more than one of the security features. Travelers to Canada and United States dealers that accept Canadian currency as a convenience to their customers from north of the border should learn about the embedded security features before accepting these notes. Visit the Bank of Canada Banknote website for more information as to how to recognize legitimate currency. Clarification Update: The three lower denomination Canadian notes ($5, $10, and $20) are made using the polymer substrate. The higher denomination note ($50 and $100) are still made with rag bond paper. These notes are scheduled to be converted to polymer in the next few years. All currency images courtesy of the Bank of Canada.